I’ve been looking forward to this series since the lineup was announced, and I’m happy to report that the first issue did not disappoint. Let’s delve right in, shall we? At the end of the tragic car wreck that was the “Second Coming” storyline, Cyclops disbanded his super secret black ops X-Force team as the result of much scrutiny when the news of their existence leaked to the other X-Men. Little does Cyclops know, however, that Wolverine and Archangel have taken it upon themselves to continue their black ops missions of their own accord with a new crew of members. Gone are X-23, Warpath, Domino, etc. 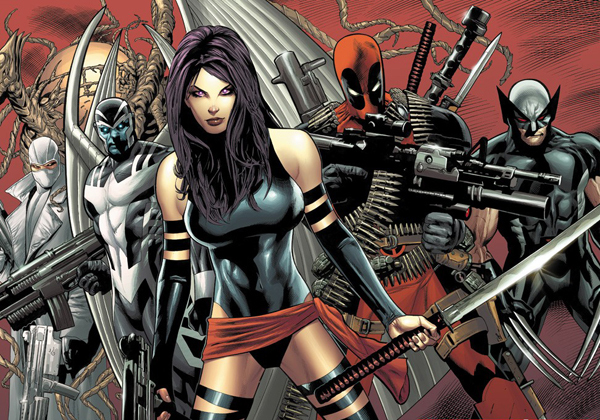 Welcome: Psylocke, Deadpool, and Fantomex. Not exactly who you’d expect, right? Neither did I. But oh my God, does Remender make this work. Could this group get any more badass? It’s perfect. You’ve got two strong leaders in Archangel and Wolverine. You have comic relief and general hilarity in Deadpool. You have depth and conflict in Fantomex. And you have ninja badassery in Psylocke. The cogs in this fit tremendously well, while still maintaining the potential for great conflict down the line. I read an interview with Remender a few weeks ago where he described his take on the series and characters—how they work individually, and how they fit in together as a team—and it filled me with confidence that he knows what he’s doing. Now that I’ve read the first issue, that confidence has only been further cemented, and I’m beyond excited to see how it all develops. Issue one opens with Deadpool doing some scouting of a threat as-yet-unknown to the audience. He sends out a distress signal to Archangel for assistance, who receives it after waking in the middle of the night beside Psylocke, with whom he has re-started a relationship. What’s more, Psylocke is now using her telepathy to keep Warren’s belligerent Archangel persona in check, and the two characters have a little heart-to-heart in regard to their fears of controlling “him” (Archangel). 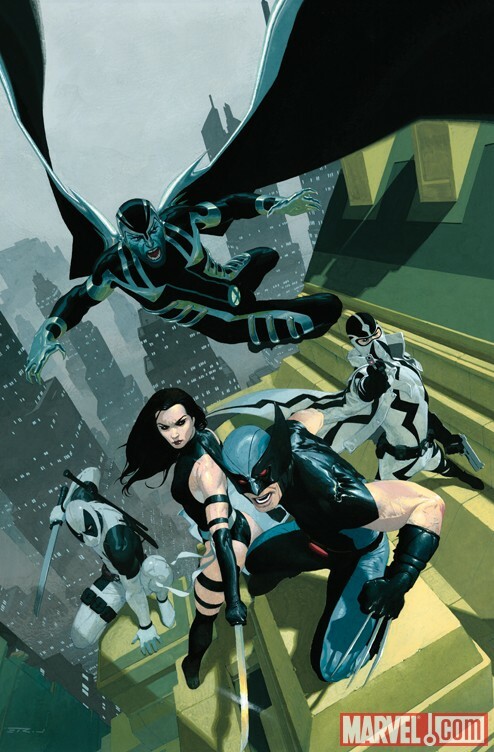 Elsewhere, Wolverine thwarts a heist by Fantomex, and the entire team convenes in E.V.A. to rescue Deadpool. Along the way, Warren briefs them in regard to what they’re about to face—Apocalypse is back, he believes, and he wants to take him down no matter the cost. As the team fights its way to Deadpool, we’re privy to some excellent narration and analysis of the team from Fantomex. Remender does a fantastic job of using Fantomex’s observations as an insight to this group of characters, and gives some great foreshadowing of what we can expect to see of them in the future. The issue ends with a confirmation that, yes—Apocalypse has indeed returned—but not in the manner you’d think. Jerome Opena’s art does well in these revelations, which is a pleasant surprise. After seeing a few preview pages, I expected not to like his work, but he actually suits the book and the characters quite well. So far, Uncanny X-Force has been very much what I’d hoped and more. I think the creative team on this book is on to something clever, and I’m absolutely psyched to see how they handle it. This entry was posted on 10/23/2010 by ravenhaired. It was filed under Awesomeness, Comic books, Reviews and was tagged with Jerome Opena, Marvel, Rick Remender, X-Force, X-Men. Strange … I haven’t run into any problems myself. Let me know if it keeps happening. Thanks.